This was perhaps our prettiest Byrdie product testing session. Picture four editors huddled around an assortment of pastel-hued creams, liquids, and powders. Oohs and ahhs ensued. From palettes to pens to pots, if a brand came out with color corrector this spring (as so many did), we tried it. Scroll through for our honest reviews! 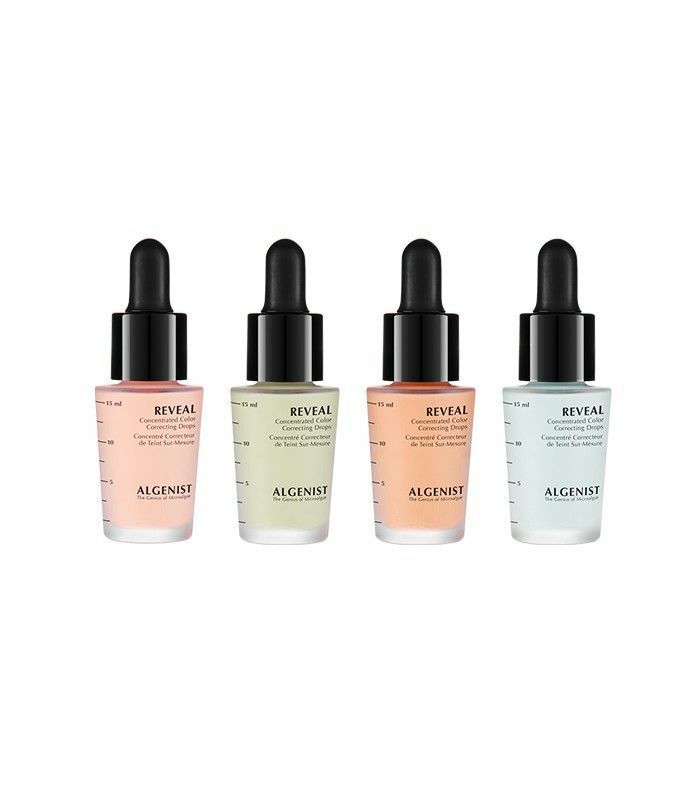 The Review: Algenist’s color correctors are the only ones to come in liquid form. The drops can be added to your makeup or skincare products to balance tone all over or used alone to spot-correct individual areas. Why do we love them? Apart from the fact that mixing and matching droppers full of different colored potions makes us feel like we’re conducting a science experiment, we love the formula. It feels weightless, goes on like silk, and covers/neutralizes impressively well. They even work over makeup. Our one criticism is the finish. As we mentioned, they get the job done in terms of neutralizing tones, but they almost do it too well. They left a somewhat chalky finish. The redness of our blemishes and darkness of our under-eye circles were certainly improved, but we found the product to be at odds with the dewiness we usually try to achieve. These are for you if like your look matte. 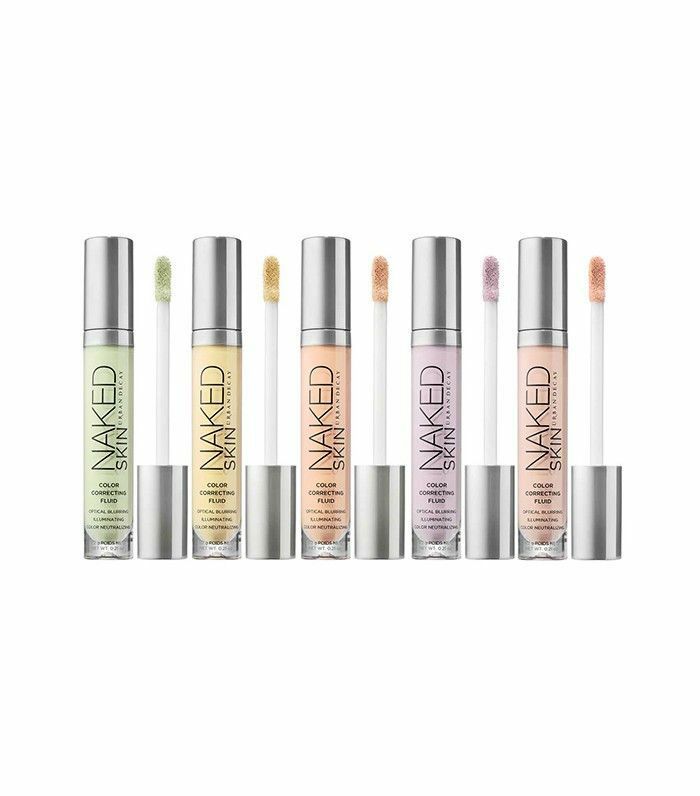 The Review: Like the Algenist drops, these color correctors are highly concentrated. When we were applying them, we got a little worried the color would show through under our concealer. But alas, it did not. Nor did the imperfections we camouflaged. The green might be a little much to wear on its own (meaning we looked like we had green on our face), but the rest are fair game. 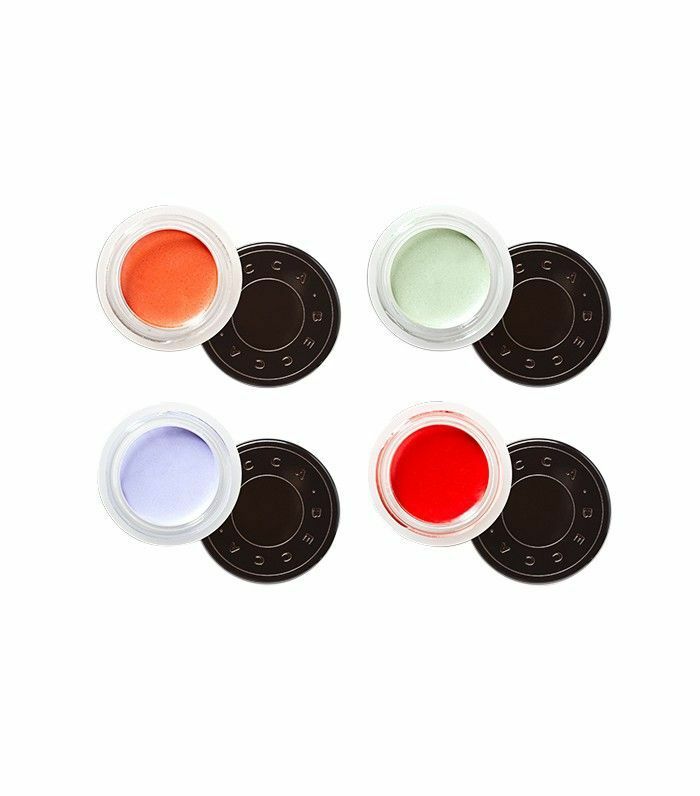 The beauty of these correctors (other than the wand applicator—so easy) is the subtle pearlescent pigments, which leave a beautiful, illuminated finish. So, not only do these bad boys neutralize imperfections, they diffuse light for even more optical blurring. One final note: a little goes a long way. 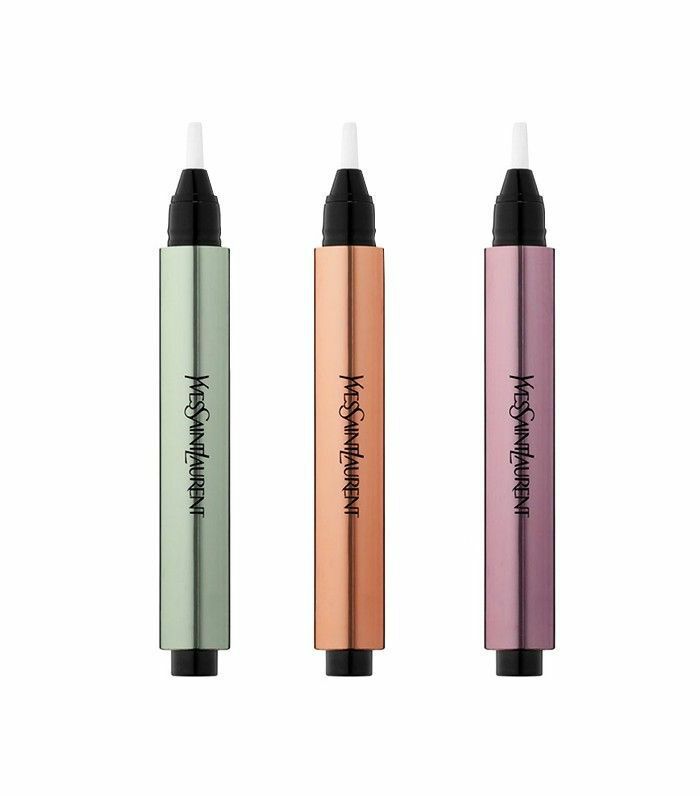 The Review: And we reach the pinnacle of applicators with Yves Saint Laurent's new color-correcting pens. Click, swipe, blend, and go. The formula is lightweight and blends like breeze. Seriously, these could not be easier to use. The colors, however, are not as concentrated as some of the others we tested. The green shade was on par with Algenist, Urban Decay, and a couple of the creams we tried, but the bisque (apricot) shade did completely make our dark circles disappear. The petite brush made for precise application and the sheer, buildable formula are a winning combination. The Review: If you like thicker, creamy concealers, this may be the color-correcting palette for you. These just melted into our skin. 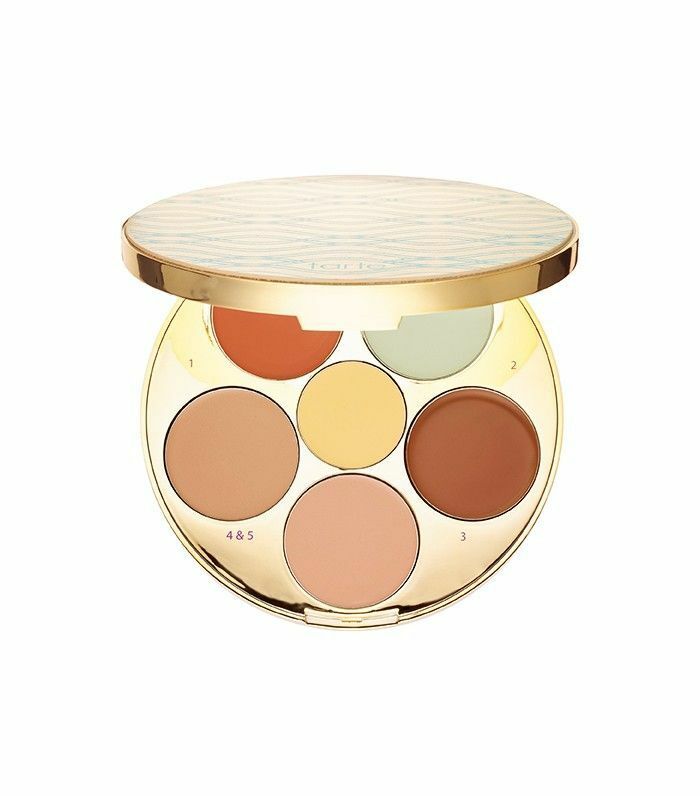 Some dark circle correctors that are as orange as this one leave a residue on the skin that's still visible even after applying concealer (see reviews below), but not this one. Tarte recommends applying with a brush, but we had no issue using our fingers. The Review: Intimidating? A little. This palette is big. (No, it will not be the one you toss in your bag and take with you everywhere.) 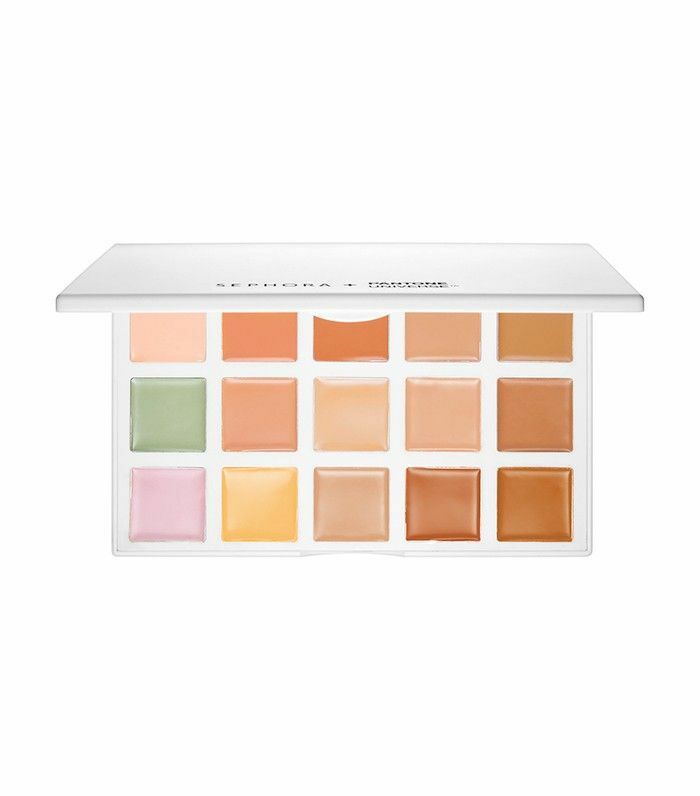 With seven different color correctors and eight different concealer shades, it's a little overwhelming just figuring out where to start. Luckily, there's a handy key for that, and it includes instructions of color combinations that read like recipes. Want to erase dark circles? Use shades 1, 7, and 4. In fact, we had the best results with this one when we did mix and match the shades. 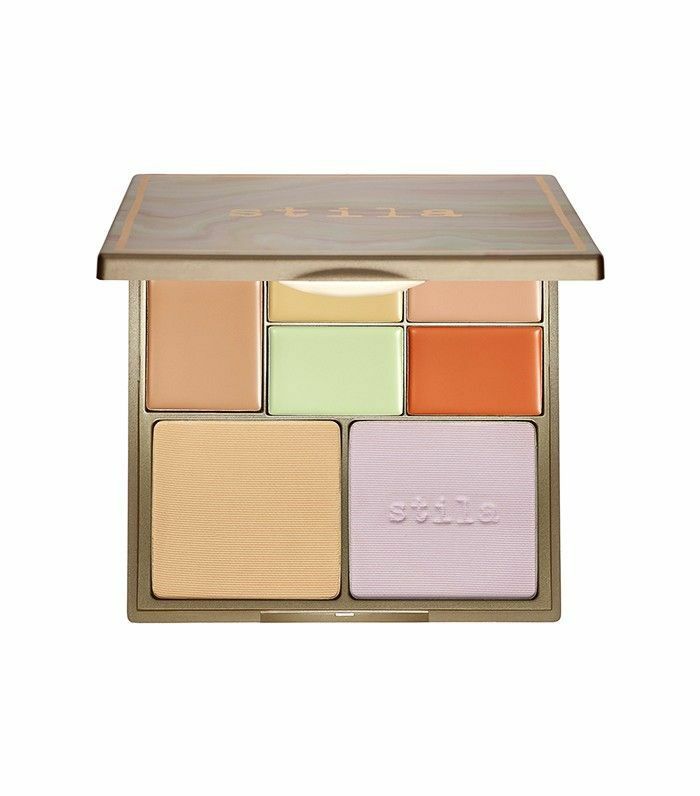 This wasn't our favorite green color corrector, but the under-eye shades worked beautifully. The Review: Another palette that's almost too pretty to use, Stila's palette is the only one we tried that features creams and powders. The powders are meant to set the creams and offer that one last punch of brightening. The powders were our favorite part of this product. The peach and pink creams weren't as pigmented as we would have liked, and the rest were almost too concentrated to the point that they left a tint of color behind on our skin. The Review: We love that these are infused with light-reflecting pigments, however we don't think they're quite up to the level of Urban Decay. The light-diffusing properties are subtle, and when blended out they leave a nice, glowy finish on the skin. The issue is you have to blend them all the way out, and when you do, the color correcting benefit is lost. The Becca creams didn't melt into our skin the way others did. Instead, they kind of sat on top of skin. Which probably explains why the shades for dark circles ended up just blending in with our concealer. Our favorite use for these? Applying the violet corrector over makeup for a subtle, brightening, and illuminating finish. Have you tried any of these? 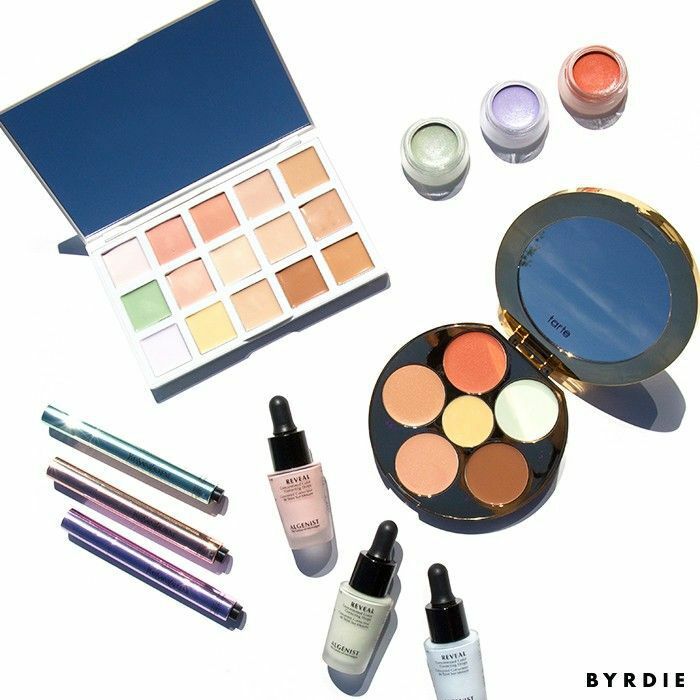 Will you hop on the color-correcting trend? Tell us below!